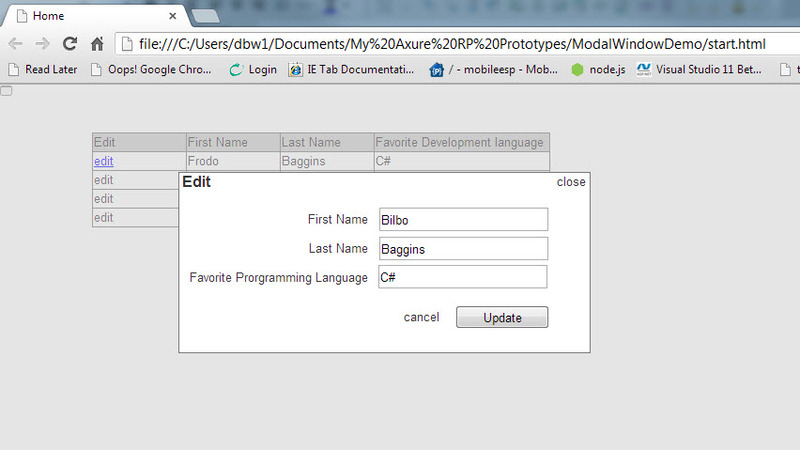 Recently we have been using a tool named Axure to develop quick wireframe throw-away prototypes. It’s a great prototyping tool that makes it quick and easy to mock-up basic user interaction scenarios for web and mobile applications. The wireframes serve as a basis for discussing workflow and user interactions with customers and development team members before jumping into the initial development sprints. It’s also very useful for discussing the initial design / interaction patterns with our user experience designers. It’s very easy to change interactions and screen layouts on-the-fly, so it’s a powerful way of experimenting with your UI design. When a user clicks the edit button you would like to open an edit dialog for the given record. In our case we would also like to have the background grayed out so that it appears to be inaccessible while the user is interacting with the modal dialog. 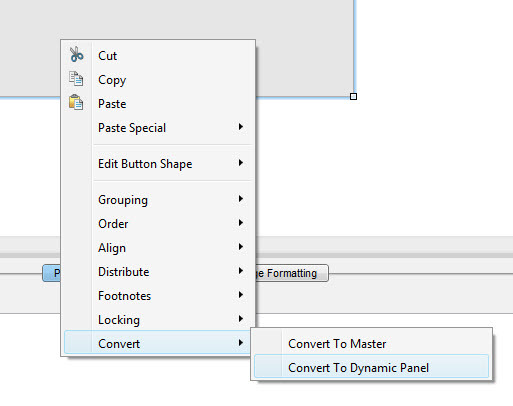 Now that the panel is dynamic, let’s right click on it and send it to back (Order-> Sent to Back or Ctrl-Shift-[) and set it to hidden (Edit Dynamic Panel -> Set Hidden). Repeat this step for all of the edit buttons you would like to configure. 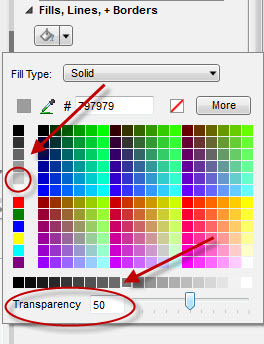 Tip: If you want your edit button to look like a link, change the color to blue and add underline. Drag another rectangle out to the area where you would like your modal window to appear and make it large enough to support the fields to be edited. This rectangle should have a white background to give it contrast against the gray background created earlier. 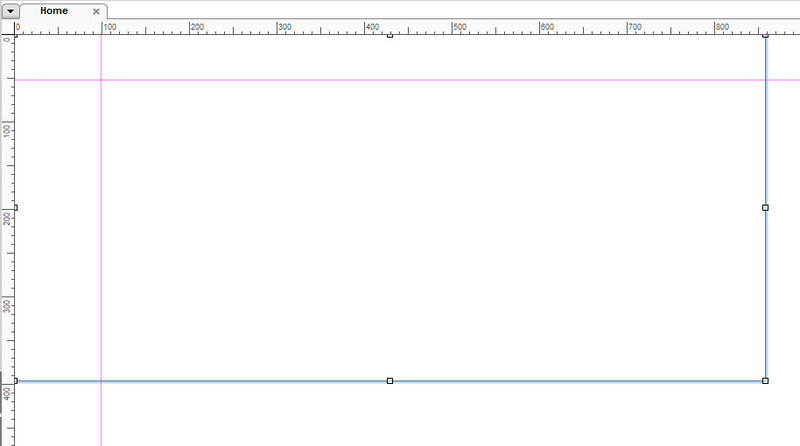 Next drag the widgets you would like onto this rectangle to create your edit form. Tip – For multiple fields with the same text / label layout, cut and paste works quite nice. 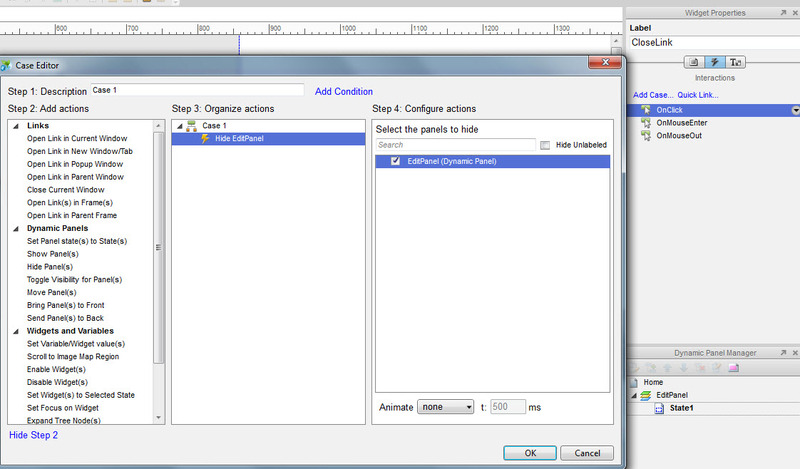 Also don’t forget to use the automatic guide lines to help you line up the widgets on the form. 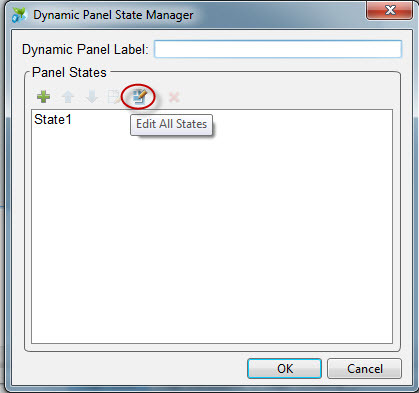 Next Next post: ASP.NET MVC – Why doesn’t my area route registration work?